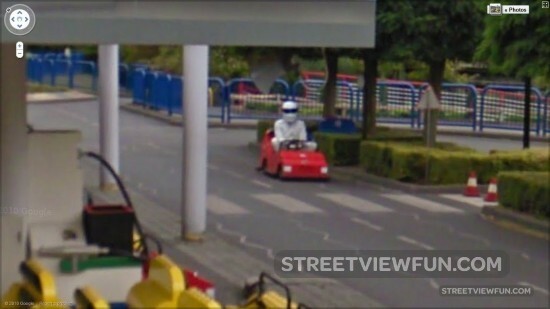 The character The Stig from the british motoring tv show Top Gear can be seen on Google Street View. Here he is driving gokart at Legoland. That is the most cool thing ever. hahahahaha thats the hilarious! wow i didn’ the stig tested go karts lol!